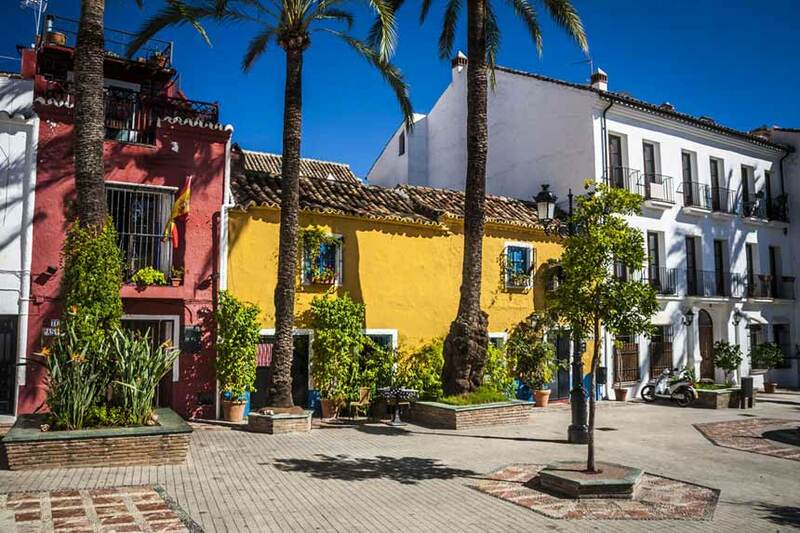 The historic center of Marbella has preserved much of its historical architecture and has a traditional Arabic layout. Dont’miss el Castillo, such an emblematic place with medieval features ; the Plaza de los Naranjos, where lies the social focus of the city and the Engraved Museum, one of the best in its kind. Also, do not miss the opportunity of a breakfast with churros and some good tapas in their traditional bars. Puerto Banús is one of the most recognized nautical and tourist destinations in the world. Leads the luxury nautical and leisure tourism in the Mediterranean. It offers a number of unforgettable experiences and high quality services to its visitors. It has the best firms and shops of world-class designers, shopping centers and streets where you can breathe and feel high luxury. The Promenade is the pride and joy of Marbella. In its journey you breathe peace and tranquility. It covers a distance of more than 6 kilometers from Puerto Bajadilla (the fishing port) in the east, to Puerto Banús in the west, which is landscaped with palm trees and flowers. It is considered one of the most attractive walks of the Costa del Sol and has the advantage of being only a few minutes walk from the center of the city. Do not leave without enjoying a pleasant walk with spit and fried fish, typical of the region. A traditional market that is held only twice a year, within the La Virginia urbanization. This pleasant market that takes place at street level, is set just at Easter and Christmas. During these periods, the streets of the urbanization are filled with stalls selling clothes, food, cosmetics, handicrafts and more. Are you ready for a gastronomic and cultural experience in Marbella? Le informamos de que esta web utiliza cookies. Si continúa navegando, consideramos que acepta la Política de Privacidad y de Uso y Política de Cookies de este sitio web.